MANOR is Switzerland’s largest department store chain with a yearly Management “ says Daniel A. Pfenninger, revenue of more than 3 Billion Swiss Francs. More than 11,000 Branch Manager of eb-Qual AG. employees in over 70 locations across Switzerland provide a unique Non-Food, Food and restaurant shopping ambience. For its customers Manor discovers and mediates Live-Style for an affordable price. Why did you purchase NetMRI? NetMRI is Infoblox’s Network Configuration and Change Management solution (NCCM). The name already expresses how NetMRI makes it easier for us to operate our large and distributed environment. We are now more efficient, because of an improved overview. Thus we are able to operate our network safely. We already knew NetMRI from an earlier version, which we used less intensive so far. The latest version convinces by its highly innovative ease of use and more features. Every feature and parameterization can be quickly and easily applied. More than 600 network devices, like Switches and Routers are distributed across the whole of Switzerland. All of them are properly connected to our network and can be surveyed, managed and configured from a central location in real-time. Local policy and configuration changes are discovered in real-time and can be dealt with accordingly. This makes it possible not only to fully understand what has happened in our network until now, but also to make changes automatically at any day or night time. Would you describe NetMRI as a typical operations tool? No, absolutely not. For instance, our regular network review can be done much faster since we use NetMRI’s issues/changes log files. As the responsible person for this tool, I appreciate the regular status notifications. They show exactly when, where and what has changed in my network settings. My supervisor values the traffic light feature, which shows him the health of our network with just one glance. Looking back, what has changed since you started to use NetMRI? Life became easier. Our administrators discover far less unforeseen issues in their daily work. Additionally, they have more support now, which lets them find and fix network issues in an appropriate time frame. The team of eb-Qual AG made the installation of NetMRI very efficient and smooth. They are always a reliable and capable partner for our queries. The Zurich branch of the Infoblox channel partner eb-Qual AG supported Manor with the implementation of the NCCM solution. Security specialists of eb-Qual AG recommended Infoblox’s NCCM solution due to the appliance based management and the skill set of Manor employees with a previous NetMRI version from Netcordia. 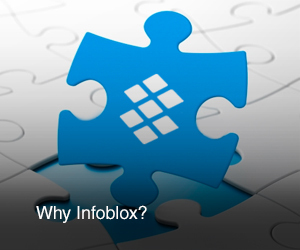 “Infoblox doesn’t only offer the best DNS, DHCP and IP Adress Management solution available, they also offer an unique complete solution for Network Change and Control Management “ says Daniel A. Pfenninger, Branch Manager of eb-Qual AG. What will happen next with NetMRI? Since the implementation our eyes have literally been opened. Currently, we are working on our infrastructure to standardize it even more. We are now so convinced by NetMRI’s capabilities that we have just started to align all our processes with the tool. This way we are going to increase the level of efficiency and security.